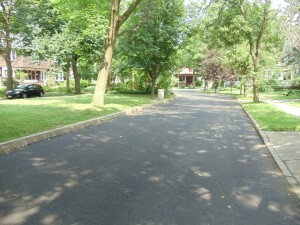 Syracuse, NY – Construction is complete on the first ‘green’ street in Syracuse as part of the “Save the Rain” campaign. Improvements at Concord Place in the City of Syracuse were one of the first projects discussed between Onondaga County and the City and while commuters may not notice a big difference, the redevelopment included significant storm water management features to help reduce impact on the local sewer system. The green street concept at Concord Place is a subtle approach to storm water management with the installation of infiltration trenches along the street corridor. 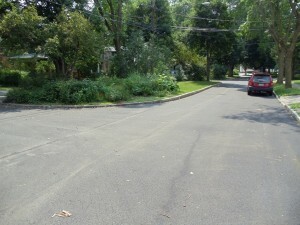 Wet weather enters the system through existing storm drain connections in the street. However, instead of the collected water flowing to the sewer system, a weir connection directs flow to an underground trench filled with a stone base. As storm water enters the trench, it slowly filters through the compacted stone and soil, eventually releasing to ground water. In addition to the underground infiltration system, Concord Place also received a new mill and pave application to the street surface. “One of the unique aspects of this project is how we demonstrate storm water management in a way that is aesthetically similar to traditional construction practices “ Matthew Marko, Green Infrastructure Program Manager, CH2M HILL. “To most folks, this looks like a regular street paving project, but what takes place underneath the surface is protecting Onondaga Lake”. 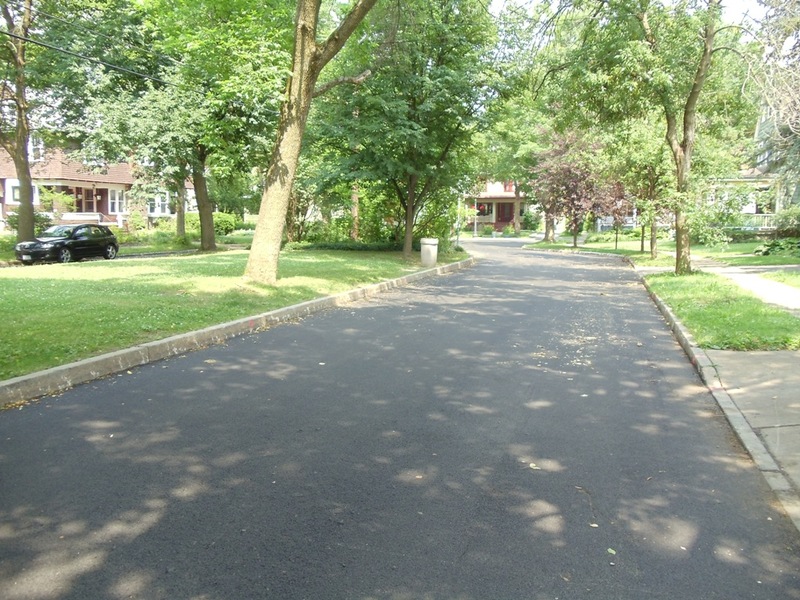 The completion of the Concord Place renovation is one of several ‘green’ street projects planned as part of “STR” program. Future ‘green’ street concepts will include a wide-range of sustainable practices including; enhanced tree plantings, bio-retention areas, porous pavement applications and other elements.